Pregnant women need to supplement Iodine in their pregnancies for the proper neurological development of their babies. The AAP recommends supplementing with 150mcg/day. This is usually in the mother’s prenatal vitamin. Otherwise, the Midwives of NJ recommend the woman use iodized salt and add dietary sources like some kelp granules in soup. No need to obsess but these little additions will insure that the fetal and infant thyroids have adequate Iodine for proper development. 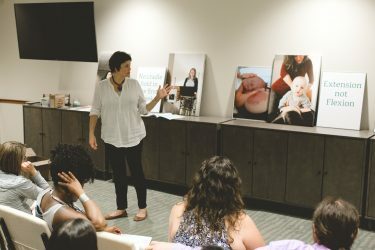 Every week we host a Midwife Orientation for new clients in our Women’s Wellness Classroom. During this time, we discuss our practice, the midwife philosophy of care, birth options and answer any questions you may have about our practice or birth. To reserve a spot contact us today.